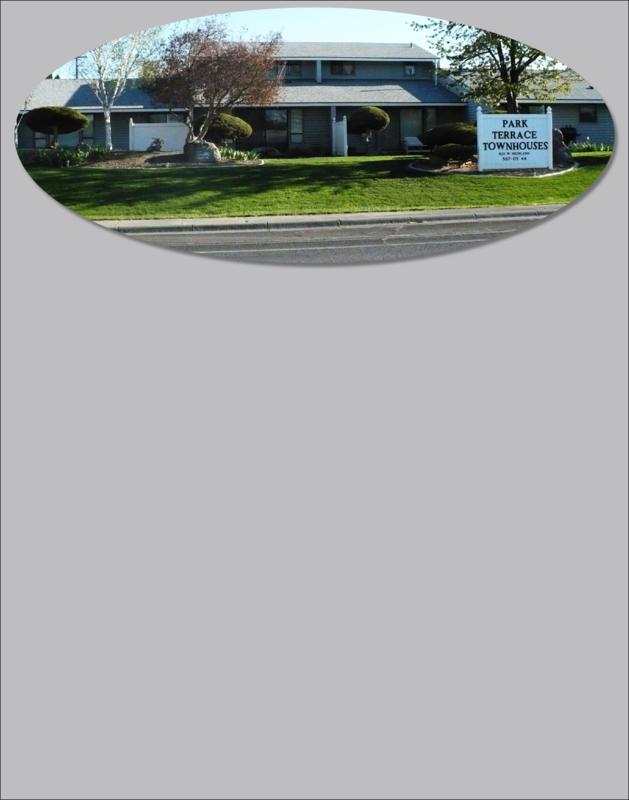 Park Terrace Townhouses is located in the fastest growing city in Eastern Oregon. Home to the 2014 and 2017 Oregon State High School 5A football champions and Oregon State 5A wrestling champions (2007-2011 and 2013-2016). We are centrally located just 8 blocks from the shopping center, 5 blocks from Hermiston High School and Armand Larive Middle School, as well as 3 blocks from two elementary schools. We are a short drive to the hospital, most medical facilities, two golf courses, the aquatic center, and the Columbia River. The bike path system is at our doorstep and a number of parks are close by, including our newest, a walking/jogging park on the Umatilla River. Our spacious, quiet apartments sit in a landscaped park-like setting, allowing over 6,000 sq. ft. of property per apartment bordered by churches on both sides and nobody above or below. Our 2 bedroom, 1 bath, ground-level apartments are 960 sq. ft., townhouses feature 2 bedrooms, 1.5 baths and a den with almost 1,200 sq. Ft., and our 3 bedroom, 1.75 bath, ground-level apartments are nearly 1,400 sq. ft. All 2 bedroom apartments feature one carport and one open parking space. 3 bedroom apartments boast two carports plus one additional parking space. Each carport has a large, locked storage area. All apartments have a large, fenced and gated, private courtyard for personal gardening, entertaining, or soaking up our ample sun, plus at least one additional patio with glass sliding doors. Private mailboxes are locked and close by each building. All apartments have vaulted ceilings, gas fireplaces, motion activated porch lights, washer/dryer hook-ups, range, refrigerator, garbage disposal, dishwasher, microwave, central heat and air conditioning. Washer and dryer included in townhouses, all others include washer/dryer hook-ups. New in 2015! Lightning fast fiber-optic internet with speeds from 100 Mbps to 1 Gbps (1,000 Mbps) available. We pay water, sewer and garbage, while tenants are responsible for phone, internet, gas, electric and television. We do allow pets with some restrictions. No smokers, please. Our downloadable application will allow you to email or fax your application directly to us. We do investigate all applications to insure you will have the best possible neighbor. $42 application fee.